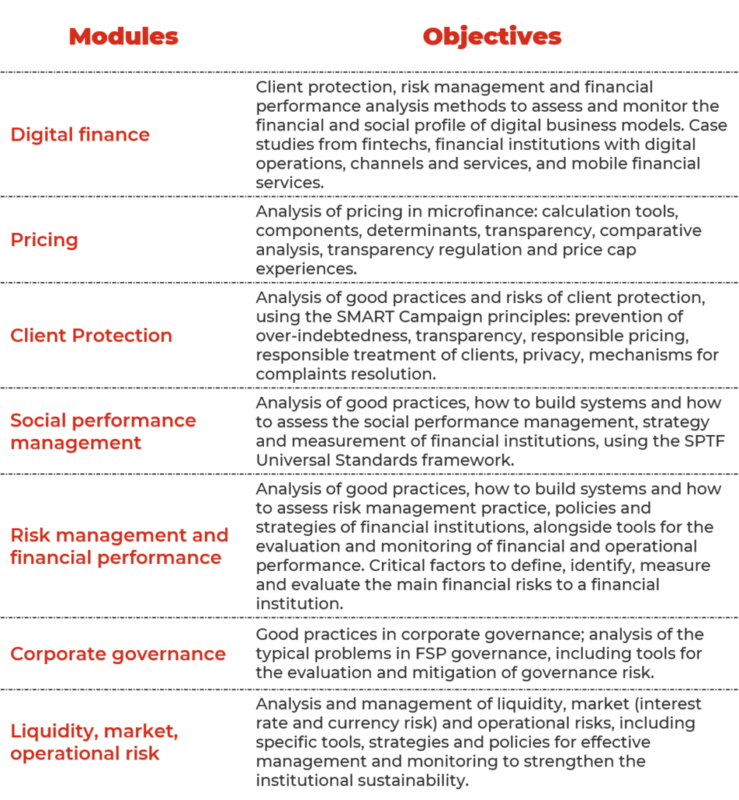 MFR training targets a diverse range of stakeholders including local, regional, national and international FSPSs networks and associations, development agencies, donor organizations, investors, apex bodies, universities and other stakeholders. 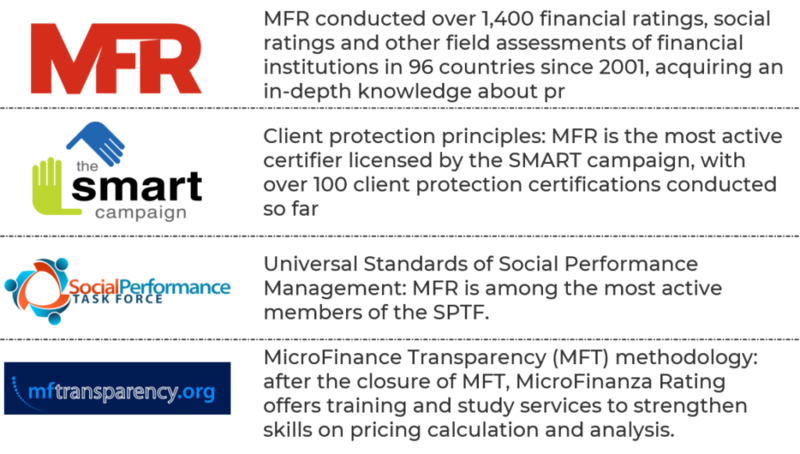 MFR has conducted over 90 trainings to financial institutions, investors and networks in 30 countries, and provides trainings at the Boulder Microfinance Institute since 2008. 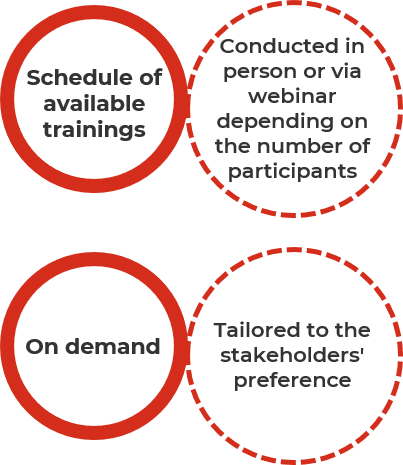 MFR uses a participative training methodology that includes working group discussions, case studies and exercises from the filed tailored to the specific client and inclusive to cater to diverse experience levels and learning styles. The duration of the training module varies from half a day to 2 days, unless specific requirements. Languages available: English, French and Spanish.